I had a hard time deciding what to pack for Morocco, as there is no official dress code. Hence, I ended up buying some clothes from local vendors and asking them for tips. The outfits I bought in Morocco weren’t above the knee, but I was assured that it’s fine. And it was for my two trips in Morocco. 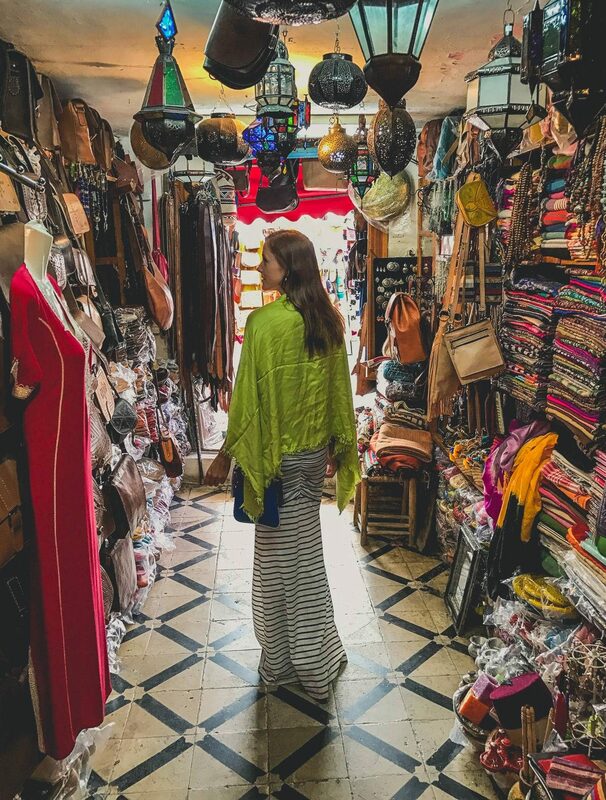 Buying locally was a wonderful idea and many Moroccan women loved that I was supporting their vendors and topped me to say that it looks great. I was never once harassed verbally or sexually regardless of what I wore. Maybe I got lucky, or maybe I managed to blend in with my French and non-branded outfits. 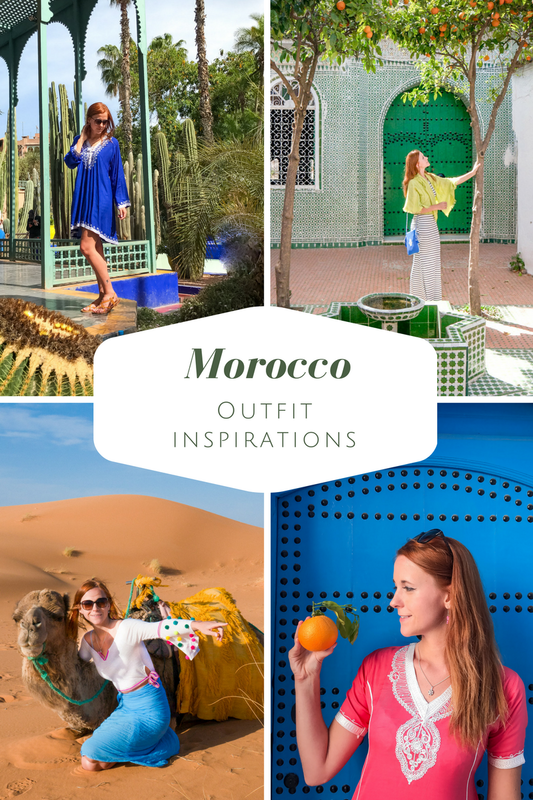 Here are some outfit ideas for Morocco based on my experience. Even though this dress wasn’t covering my knees, locals seemed to be fine with it. After all, they sold it to me in Chefchaouen. I received many compliments from local women on this outfit as well. I paired it with leather sandals purchased at the market in Marrakesh and handmade Moroccan earrings. My entire outfit cost me 55 Euros. 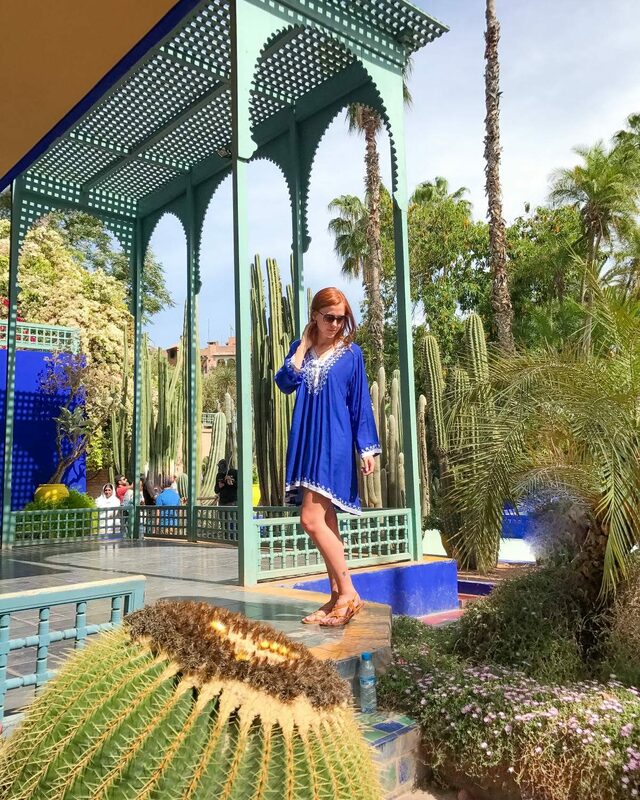 Another dress I purchased in Morocco that I thought would be too short, but locals loved me in it. It was super comfortable and I paid only 30 Euros for it. I made my skirt from a local shawl, simply wrapping my body in it. It wore a proper skirt underneath in case it all fell apart suddenly, but it actually never happened. My maxi dress was surely showing way too much cleavage, so I covered myself with a shawl. It was an easy fix and I was happy with the way it all looked together. No dress or outfit has to be baggy or oversizes. If you look at younger Moroccan crowd they definitely care about fashion, so can you. In Morocco you can really wear any shoes you like, probably apart from high heels. 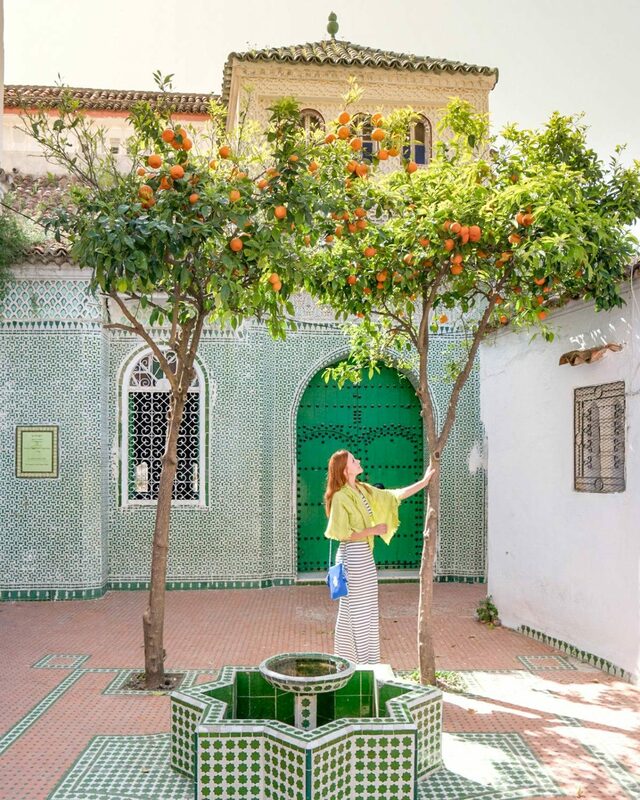 If that’s not your first time on my blog you know that I almost always wear kitten heels, but Morocco is an exception due to cobblestones streets. I recommend basic sandals and flip-flops for Sahara trips and covered shoes for city explorations. Streets tend to get dirty (as in any big city), so if you’re a germophobe forget about sandals. I was fine in uncovered shoes though. For more outfit inspirations check out my Shop Instagram page. Your outfits are really lovely, I especially love the bell sleeved shirt. Its amazing how much an outfit can add to a photograph. What do you think you’ll be doing in Hawaii? I was just interested. I suggest a helicopter trip over Molokai. It is seriously amazing. I have limited time, so only heading to Oahu and Big Island. Gonna be my second time there actually. Still working on the exact itinerary. Okay, that’s cool. I can’t wait to see the photos and blog posts from it! Omg yasss! You’re gonna love it girl. Where in Morocco are you heading to? No plan yet! Fly into Marrakech on 3 November and out 15 November. Desert camping is a must, but am having a hard time trying to decide what all else. Tell me everything! My favorite city is definitely Marrakech. 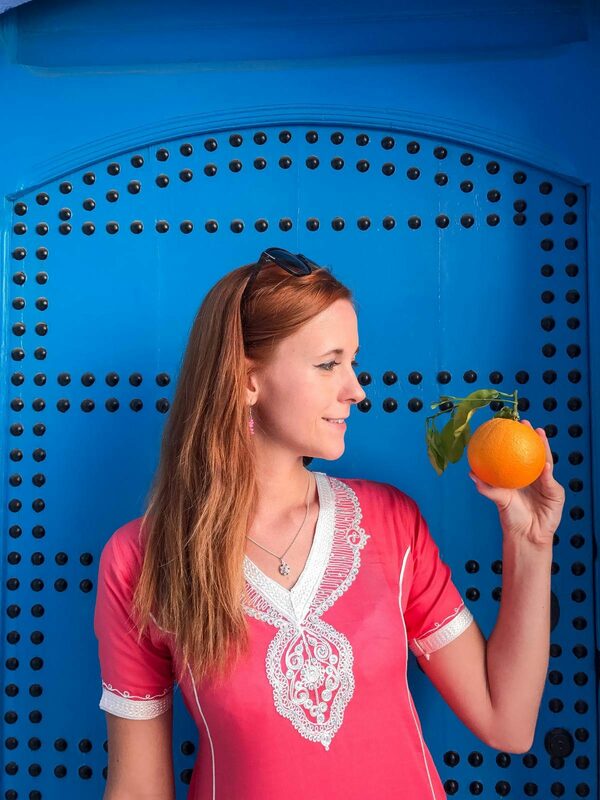 Chefchaouen is awesome too, not only because it’s blue but because it feels different from the rest of Morocco.